Don't miss out on the chance to own this limited edition Super Bowl Flip Coin. 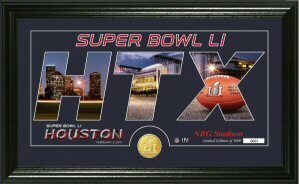 Only 10,000 Super Bowl collectors will have the opportunity to own a replica of the coin used to start Super Bowl 51. This coin is numbered and comes with a certificate of authenticity. A stylish booklet case allows you to flip the page to see both sides of this flip coin. Officially licensed by the NFL. Made right here in America. 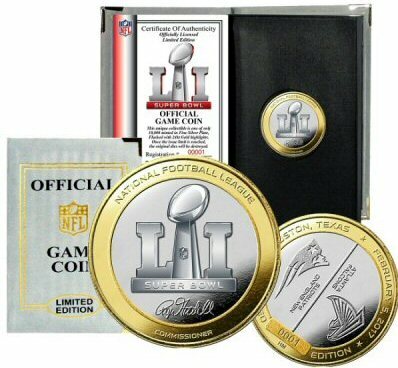 SUPER BOWL COINS ON SALE.